Video: My Toddler is Resisting at Bedtime! What Should I Do? My daughter is 2-1/2 years old and she recently started crying at bedtime. She’s surrounded by her dolls and teddies and she repeatedly cries, “I’m on my own!” She’s always slept through the night and I don’t what I can do for her now. So, a couple of points here, Claire. My first question is, does your daughter know how to put herself to sleep from a wakeful state independently at bedtime? Did she used to know how to do this? Did you used to hold or rock her and get her a little bit more drowsy than normal or more than what she needs? I am wondering if now, as she’s becoming older and more aware of the separation, she’s wanting you to put her down less awake. 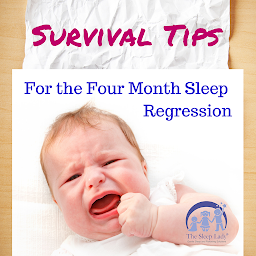 This could be a big factor in this change in her bedtime behavior that you are seeing. Make sure your daughter’s bedtime is early enough and age appropriate. Most 2-3 year olds need 10-11 hours of sleep at night in addition to a nap. So if she needs to be awake at 7am for example she will need to be asleep by 8pm. Turn off all screens at least one hour or ideally 2 hours before bedtime. And of course, take note of what content she is potentially watching on TV. Lots of times, 2-1/2 year olds feel very reassured by that. 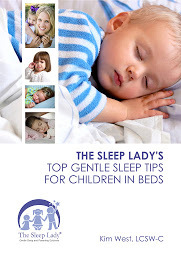 Finally, make sure that she’s well napped because, if she’s nap deprived, it makes bedtime harder and tends to cause more difficulty going to sleep and staying asleep.